“So that I, and all other sentient beings without exception, may purify obscurations, perfect the accumulations, and look upon the divine face of the deity, I present this victory banner of butter lamps to the assembly of external and internal peaceful and wrathful deities who have gone beyond bliss. 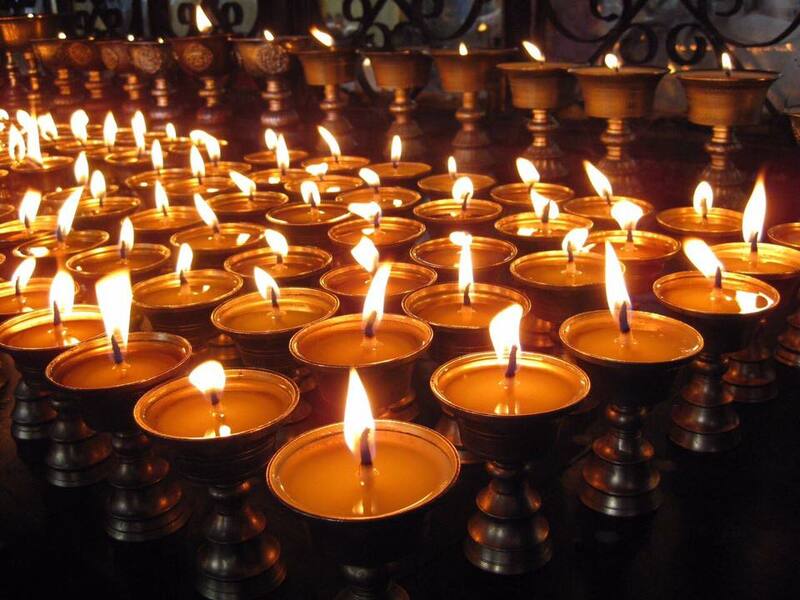 From Raising a Victory Banner of Butter Lamps found within The Tantra of the Assembly of Peaceful and Wrathful Deities. Posted on February 7, 2018, in Prayer and Ritual, Translation, Uncategorized. Bookmark the permalink. Leave a comment.